The Trawler Beach House: Boardings On The Water. What Are My Rights? First, we must make the distinction between the U.S. Coast Guard and local law enforcement. The U.S. Coast Guard has absolute authority to board any U.S. vessel, anywhere in the world and any vessel from any country in U.S. waters. THEY DO NOT NEED A WARRANT OR PROBABLE CAUSE. Furthermore, they have the authority, based on many treaties, to board vessels of other countries in international waters or within the territories of the members of the treaties. That authority has been upheld over time and is currently in affect under 14 U.S. Code § 89, and included in 14 USC 141. 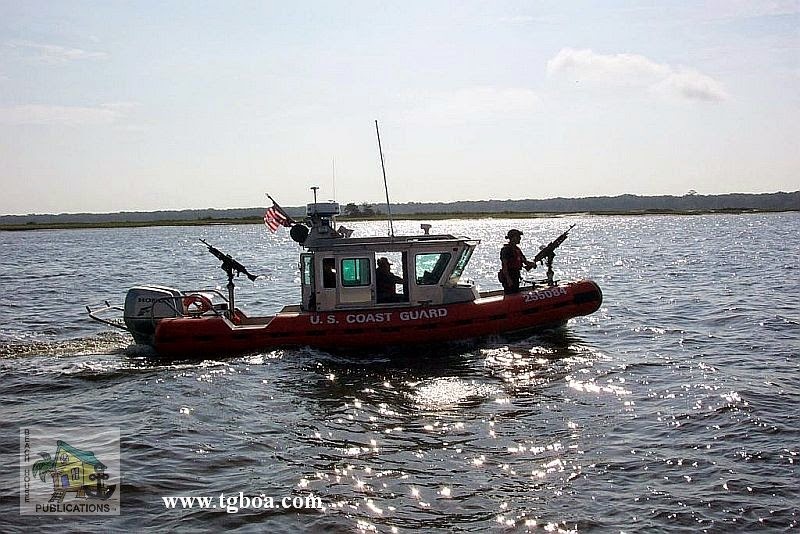 14 USC 141 allows the Coast Guard to assist other agencies and allows other agencies to assist the Coast Guard. This authority has not been extended to local law enforcement or even other Federal law enforcement agencies by Congress, unless working in conjunction with the Coast Guard or Customs in a specific operation. But many states have passed their own laws allowing any law enforcement officer to board any vessel in their state for the purpose of determining the safety of the vessels and proper registration. 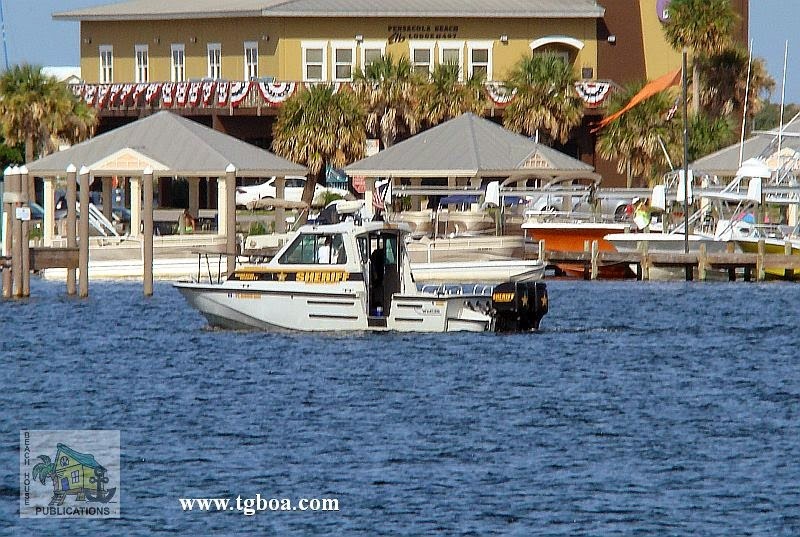 In many cases, this allows them to also search a vessel, if necessary, to perform that duty. In almost every incident we have been involved in or had reported to us, the Coast Guard crew has been courteous and professional. You may be asked to stop your boat and stand by, or they may ask you to maintain course and speed. You don’t ever want to argue or refuse. At that point, you could be suspected of smuggling or any number of issues, and the Coast Guard has some really big guns aboard their vessels. Suddenly, a simple safety check can escalate into something much more severe. If the Coast Guard boards at night, they will often approach with no lights on their vessel at all. If approached at night by an unlit vessel, it’s best to call on the VHF and ask “unlit vessel located at Lat 00.00.00 and Long 00.00.00, please identify yourself.” If this is indeed the Coast Guard, they will respond. Once again, be sure to follow their instructions. If you aren’t sure what they want you to do, ask for clarification. Be sure to let them know if you have firearms aboard and where they are located. If you have nothing to hide, you will have no problems. 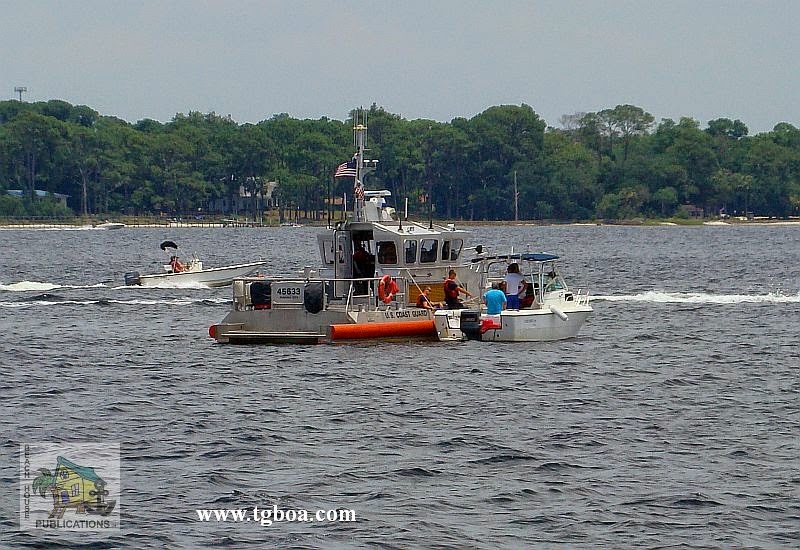 Stops and boardings from local law enforcement, or even Federal Law Enforcement other than Coast Guard or Customs, should follow the same routine. Here is where there can be much confusion and where many of these discussions turn to the legality of these boardings. Our advice is, you are dealing with a law enforcement officer that is carrying a weapon, probably wearing a bullet-proof vest and driving a boat that you can’t outrun. If he wants to come aboard our boat, he can with no argument from us. Our feelings are, let him board and we can sort out the legality of it later, if necessary, when things are less tense and less perilous. These officers believe they have the legal right to stop and board your vessel without a warrant and without probable cause, and nothing you can say over the VHF is going to change their minds. 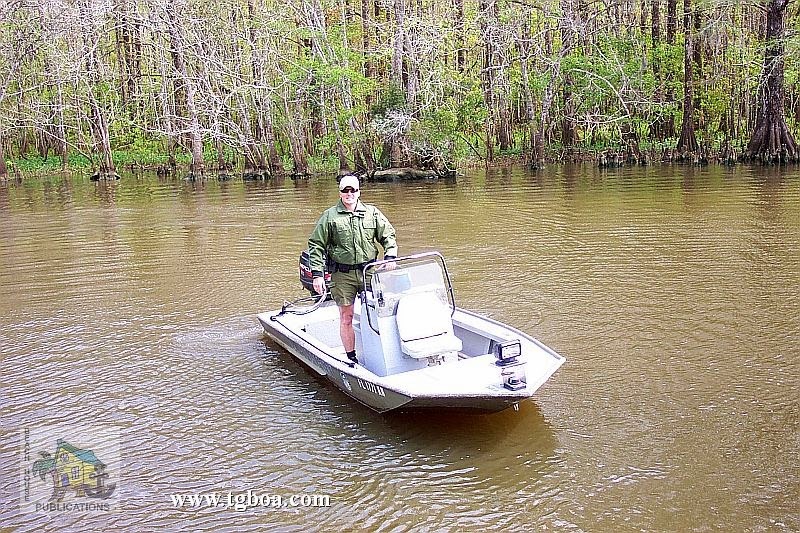 So it’s best to just comply, and if you have an issue, deal with it through the proper channels away from the boat. But the question still remains, is this legal? Yes and no. In many states, including Florida, where the issue seems to crop up the most, state courts have upheld the rights of state and local law enforcement to board a vessel to determine the safety of the vessel and that the registration and ownership is proper. 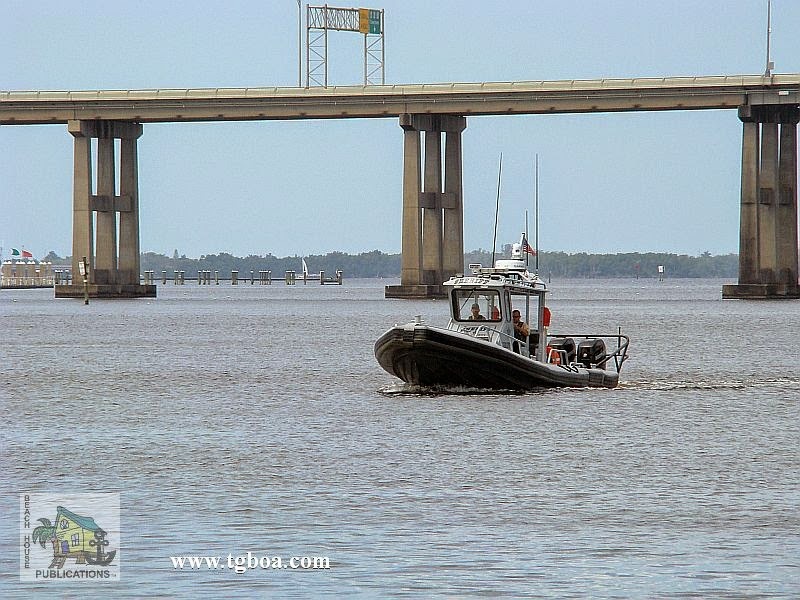 As of March 2016, a new state law may now require Florida law enforcement to have probable cause to randomly stop and inspect vessels without probable cause. Other states have found this to be illegal. The state courts in Michigan found these stops to be illegal, and Michigan quickly crafted legislation requiring local law enforcement to have probable cause to stop vessels. Ohio followed suit and Arkansas found it unconstitutional in Arkansas v. Robert M. Allen. Once again, we are stuck with a hodgepodge of laws and regulations from state to state. If boaters wants to spend their time studying case law for each state they enter on their boat, you MIGHT be able to argue the legalities. To confuse things even more, some states have said the local law enforcement has the right to stop a vessel, but must do the safety and registration check from the rail. Great post. Very informative and easy to understand. Thank you. Lamentably, you are prudent and a fool argues with the "cowboy seafaring water cops" of the local variety. If one were to have legal counsel, the advice might be something like this..." I won't deter you but I do not consent to anything." Then, Keep your mouth shut! Do not try to explain your way outta anything...then and there. What do I know? NO formal legal opinion from me on this matter. Well said and for those that have a strong opinion might well use those words or something to that affect. Our feeling have been, put up the least resistance and keep the situation cordial and non-confrontational and they will go on their way in short order and go bother someone else. Susan has worked for the local Sheriffs Dept. and we understand all to well the demands of the job and the attitudes of some officers. Most officers are professionals and have treated us with respect and we repay in kind. We have never had a serious problem, only a small inconvenience. Thanks for the input. Good information - thanks for posting. I have learned something from this. Your welcome Will. Glad you found the information useful.